It’s rice planting time at Panyaden! 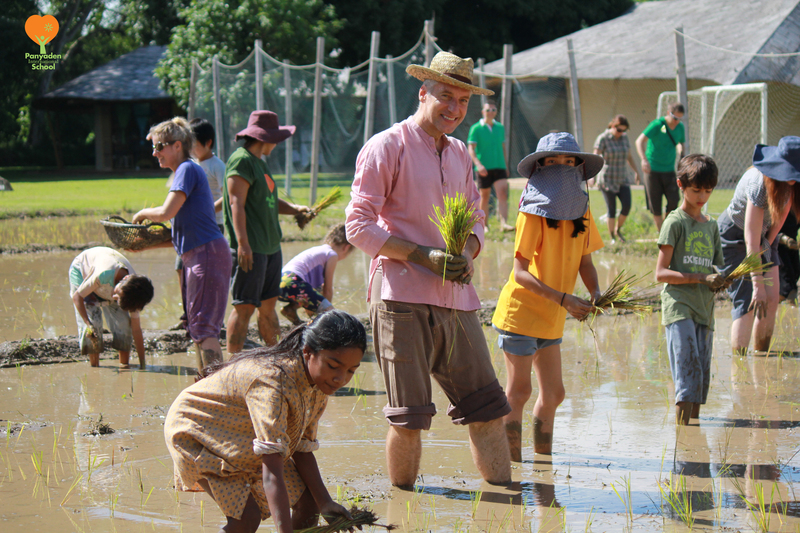 Kids, teachers, mums, dads and grandparents waded through the mud to plant this year’s crop of sticky rice. Harvest due in December. Expected on our plates in February! Lots more photos here on Panyaden’s blog! This entry was posted in Featured Posts, Green School and tagged harvest, kids, Panyaden, parents, rice planting, sticky rice, teachers. Panyaden’s Wise Habits Master Returns!